Free and easy way to move, remove or delete duplicate messages in Outlook folders. Can find duplicates across folders and storages. The whole operation is completely safe, because you can always reverse the removal action. 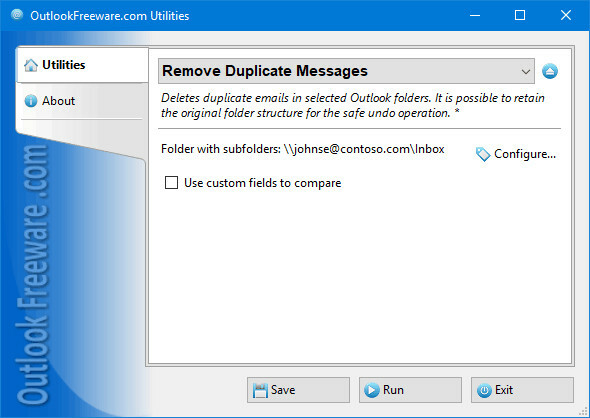 The product provides Outlook add-in and standalone Windows application for your convenience.